The serious escalation of gangland violence and killings in recent times has shocked right thinking people throughout the country. Numerous communities remain fearful, feel isolated and the law enforcement agencies do not always receive the support they deserve. Many might wonder if such senseless violence can ever be removed from our midst. 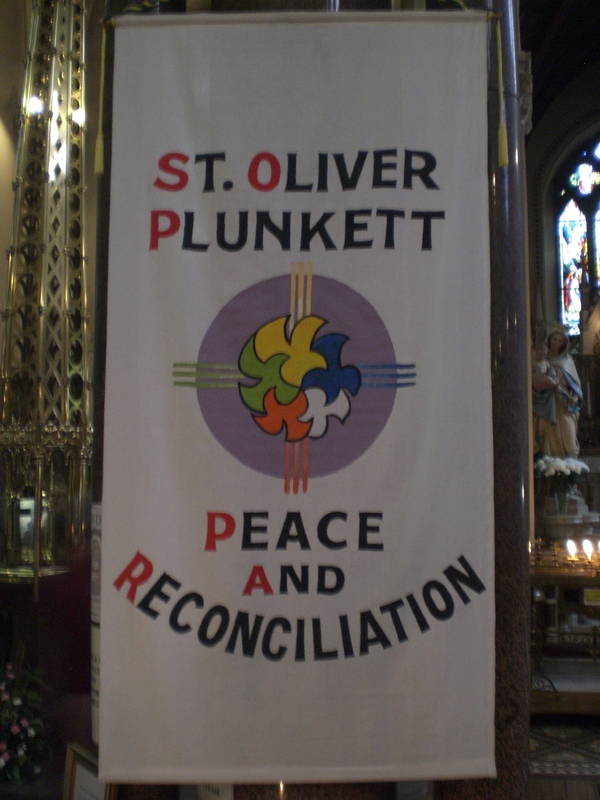 As Patron for Peace and Reconciliation in Ireland, St. Oliver Plunkett is always happy to intercede on our behalf in this regard. Please pay a visit to his Shrine in St. Peter’s Church, Drogheda, where entering through the Holy Door, one may write a petition for peace, light a candle and offer a prayer for this intention. Glorious Martyr, St. Oliver, who willingly gave your life for your faith, help us also to be strong in faith. May we be loyal like you to the see of Peter. By your intercession and example may all hatred and bitterness be banished from the hearts of Irish men and women. May the peace of Christ reign in our hearts, as it did in your heart, even at the moment of your death. Pray for us and for Ireland. Amen.